If you own a car and you want to avoid the painful experience of car theft, these few tips discussed below may be extremely helpful. There is an increasing rate of car theft, so the best preventive measure is to have a smartkey lock system on your car which will send an information or a signal to you when someone is trying to gain an unauthorized entry into your car. This system is very effective in stopping car thieves in their tracks. There are parking lots that have paid security guards to watch the cars. These parking lots are highly recommended when it comes to car parking and car security. When you park your car, you will be required to pay a small parking fee. However, this money is negligible compared to what it will cost you if your car gets stolen. You will also feel confident and relaxed that your car is safe wherever it is parked. In order to avoid your car from being stolen, it is advised that you park your car in well-lit areas at all times. For example, you can find places where there are security lights. Thieves are known to target cars parked in dark areas in order to aid their criminal act. Security lights will make it possible to visibly see a car thief, and car thieves do not like this. They try as much as possible to avoid unwanted attention which is why they target cars parked at dark places rather than at well-lit places. Also, places with CCTV surveillance system are good places to park your car. There is a high chance of a car thief being caught and arrested using CCTV, thus, car thieves find it difficult to steal cars at such places. An example of such a place is a bank. Banks have CCTV which is used to monitor the premises. So, that makes it a good place to park overnight. There are numerous car locks designed to prevent car theft. One of such locks is the steering-wheel lock. Another type of car lock system is a pedal lock. With these locks, it will be difficult for car thieves to drive or move your car. While this may not be the most effective measure in preventing car theft, it really goes a long way in preventing people from gaining entry into your car. Unlocked cars are easy targets of car thieves. An alarm system is a great measure in preventing car theft. When someone tries to gain access to your car, a loud alarm will be raised and it will stop a car thief in his tracks. If he doesn’t flee quickly, he may get arrested. Conclusively, the above are just tips to prevent car theft. However, the most recommended solution to prevent car theft is to invest in a security system. And hire a professional locksmith to assist you! 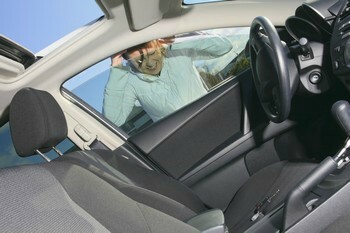 Tips to avoid vehicle theft http://killeentxlocksmith.com/tips-avoid-vehicle-theft/ 3.8/5 based upon 18 reviews.